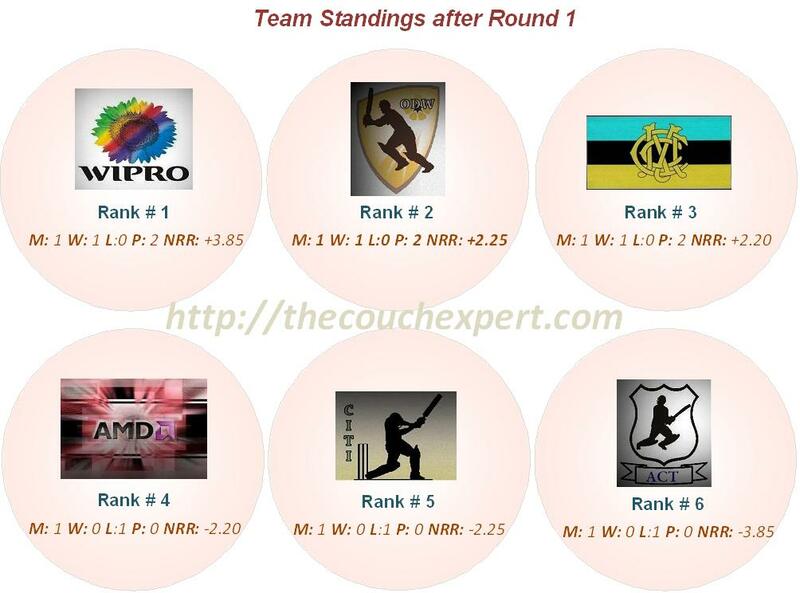 WIPRO, Mavericks Cricket Club (MCC) and One Day Wonders (ODW) all registered wins last Sunday, but WIPRO head the league standings with a superior net runrate of +3.85 followed by ODW (+2.25) closely followed by MCC (+2.20). The Most Valuable Player (MVP). 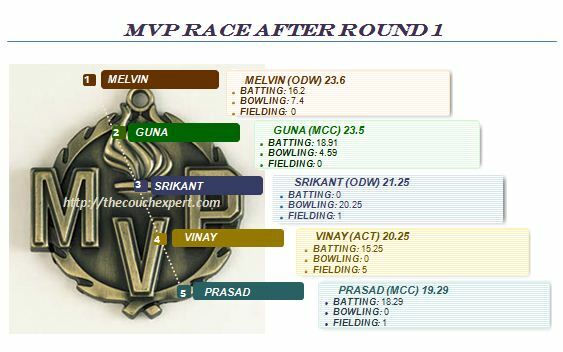 Melvin of ODW 23.6 points leads the MVP race but only just as MCC’s Gunashekar is close on his heels with 23.5 points. The points are awarded for batting, bowling and fielding contributions based on the impact on the game and the game situation. Below chart gives the top 5 MVP contenders after round 1.